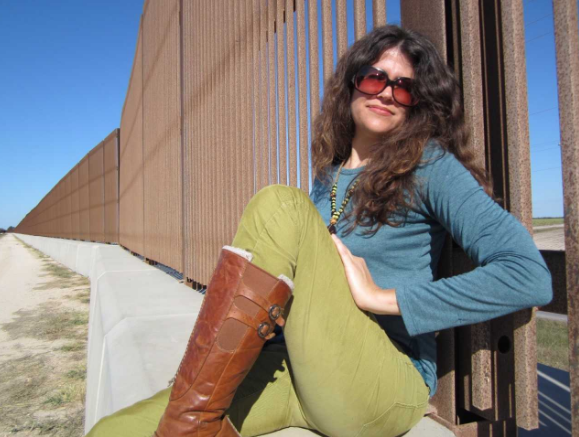 Stephanie Elizondo Griest at the U.S./Mexico border wall. Stephanie Elizondo Griest grew up between two cultural identities: her father is white from Kansas, and her mother is Chicana, or Mexican-American. Meet author Stephanie Elizondo Griest. As a young child she discovered that when she identified as Chicana, she had access to fewer opportunities, and doors that were once open seemed to close. She later spent decades re-discovering Mexican-American culture and fought to highlight the stories of those living at both cultural and physical borders. She is an award-winning writer whose work and essays have been featured in publications including the New York Times, the Oxford American and The Texas Observer. 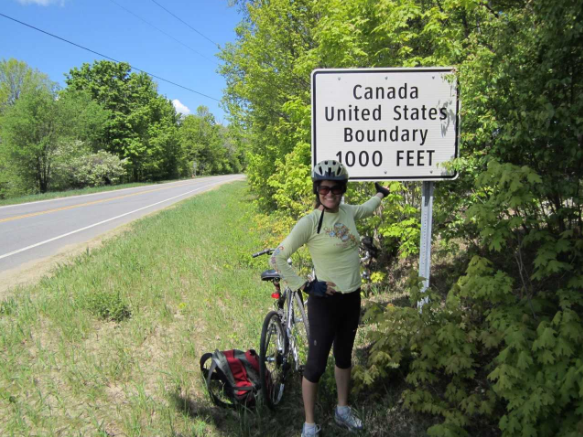 Her latest book “All the Agents & Saints: Dispatches from the U.S. Borderlands” (UNC Press/2017) documents art and activism happening along the United States borders with both Mexico and Canada. She currently teaches creative nonfiction at the University of North Carolina at Chapel Hill. Note: this segment is a rebroadcast from August 28, 2017.